Located at Finger Lakes Race Track in Farmington, NY (near Rochester). 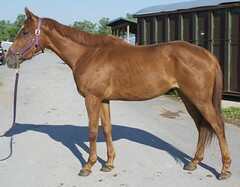 If you are looking for a lovely young horse who is truly a clean slate come check out this sweet girl. 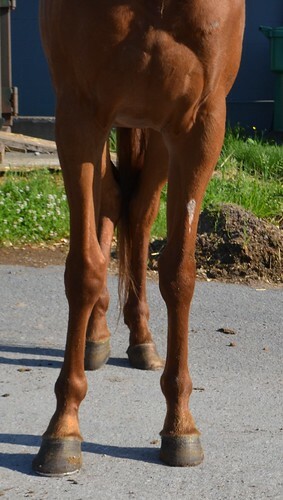 When we listed her she impressed us with sweet nature and her equally quiet demeanor while taking her pictures. 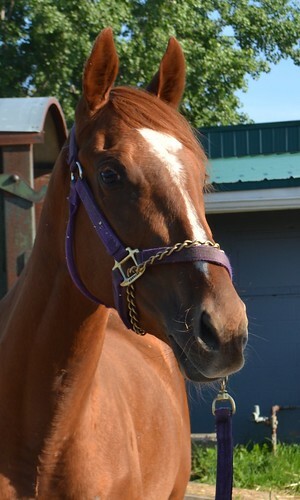 Her trainer say she is so quiet and easy to work with she was able to train her for the starting gate in just one week. 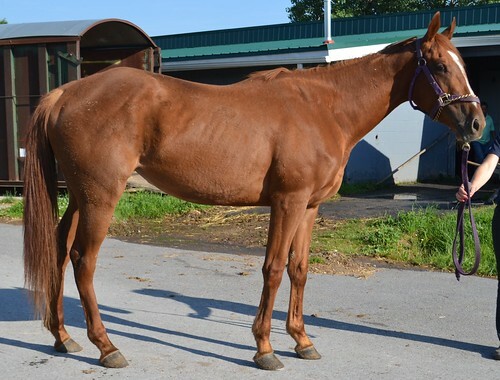 Despite being a quick study, she just wasn’t fast enough and showed no interest in being a racehorse and is not tattooed. Her trainer has decided to move her on to a new career and feels she should transition smoothly. As her pictures illustrate, still has plenty of growing and filling out to do. 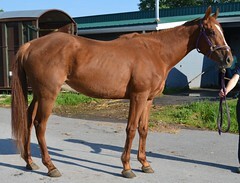 She also mentioned that at the farm she is just as quiet and good in turnout with other horses. 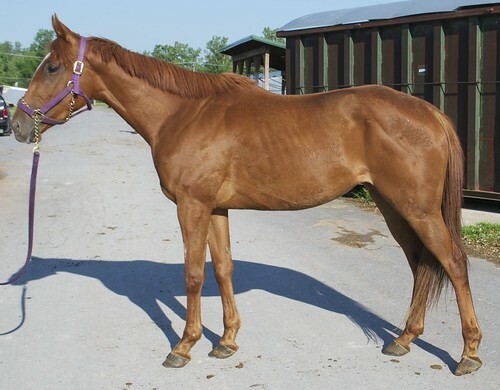 With proper training she feels she might make a nice hunter prospect for a first time Thoroughbred owner and possibly, with the right training, a great mount for a young rider. We expect this sweetie won’t be listed for very long!